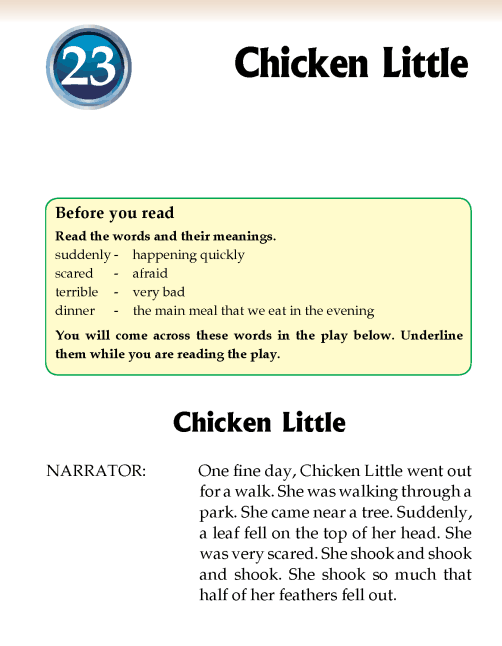 What fell on Chicken Little’s head? Why was she going to meet the king? Who did she meet on the way? Where did Foxy-Loxy take them? Did they tell the king that the sky was falling?